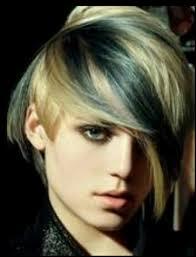 Panel coloring is a fantastic way of using color creatively to maximize the impact of your hair. Panel coloring takes highlights or lowlights to the next level by creating blocks or panels of color that are larger than the thin strands using colored during those processes. Panel coloring can be carried out in several different ways in order to achieve different looks. For a bold look that achieves maximum impact while still retaining a natural feel, panels on the top layer of the hair can be colored using natural blonde, black, brown or red shades. One or more panel can be colored, depending on the client’s preference in terms of the hair’s overall style. A more subtle panel coloring approach is known as peekaboo panels. This is where panels are colored on the underside of the hair. The hair can then be worn up or twisted into curls to display cheeky glimpses of the panel color. This is a great solution for clients looking to achieve an exciting hair style but still needing to portray a professional image in the office, as the panels can remain relatively hidden when the hair is worn down in its usual style. Of course, panel coloring doesn’t need to stick to natural shades. Many clients opt for a less usual color in order to add a bit of zest to their style. From blues to reds, panels can be applied in any color, providing clients with the ability to achieve truly personalized tresses. As with any coloring work, it is advisable to seek the services of an expert color specialist to undertake the process. A range of factors need to be considered when coloring hair, including the hair’s natural shade, any previous treatments and the condition of the hair. This is particularly important when it comes to panel coloring, as the larger blocks of color mean that any mistakes made when trying to color your hair at home will be tricky to hide after the event. As well as using a range of colors, panels can also be applied in a range of shapes. From blocks of straight color to geometric designs, panel coloring allows for creativity and fun to be achieved through the coloring process. An expert colorist can help to map out the sections of your hair to be colored in order to achieve the desired result. Panel coloring is one of the most versatile approaches to coloring hair. Depending on how the hair is styled, the effect of the panels can look dramatically different, ranging from a subtle day still to bolder look for evenings out. Clients can have just one panel for an intense contrast, such as a platinum blonde streak against dark hair, or many panels for a completely different effect. So far as 2014 is concerned, the trend is for color panels that range from delicate rose gold to bright copper. Your hair colorist can advise on the tone and style that will most suit your coloring and style of dress – in this way each client can achieve their own personal style through panel coloring. As hair coloring can be a harsh process for the hair if undertaken incorrectly, using a professional, expert colorist will ensure that you hair is nurtured at the same time as the panel blocking is achieved. A professional can also advise on how best to care for the hair after the color has been applied, both to ensure the hair remains as healthy as possible and to keep the panel color(s) looking bright and clear for the maximum amount of time. Some quick tips in this respect include using hair care products designed to protect color and avoiding over-styling the hair with too many heated appliances. However, an expert colorist will be able to give more individualized approach to ensure that each client’s new look lasts as long as they want it to. With such a wide range of color options and styles included in color paneling, it is unsurprising that the technique has become so popular in recent years. Key celebrities have sported some fantastic color paneling effects of late – Beyoncé in particular has made excellent use of the technique, using a darker shade underneath and blonder curls on top for a fabulous overall look, whether worn up or down. For those who are new to color paneling, a consultation with a hair color specialist is a good place to start. The plethora of options can seem overwhelming at first, but an expert colorist will be able to guide you through the process with ease. Full-service designer and hair color specialist Rodney Gentry is based at Sachi Studio's in Scottsdale AZ. For color consultations and other appointments, call 480.639.2000. Arrange a consultation today to discuss your color paneling requirements.